Design and sales support is now available for an energy efficient, 802.11a/n/ac/ax, Wi-Fi FEM. 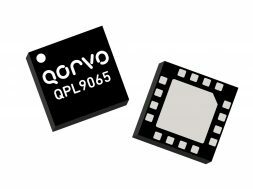 Qorvo’s QPF4578 FEM integrates a 5 GHz PA, SP2T switch, and bypassable low noise amplifier into a single device operating in the 5150 to 5925 MHz frequency range. Size is just 5x3mm (QFN).